Get Your FREE List of Beautiful Homes For Sale Today!!! Thank you for your interest in receiving a FREE List of Homes For Sale Today! You’re definitely going to enjoy these beautiful homes. We want to give you the list today with no obligation. We take pride in providing you with the highest quality information available. Let us help you turbocharge your search for a new home and give you personal access to the MLS, the absolute best website you will use when searching for your new home. Simply click the link below to receive your FREE list of beautiful homes for sale today! 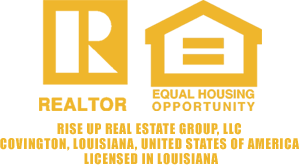 So you know what we’re giving you, you now have access to a general home search that will show you many of the most beautiful homes for sale in Orleans, Jefferson, and St. Tammany Parishes. These homes are priced near the median home value in each of these locations. What does the median sale price have to do with anything? This is the price point where most people are buying new homes or selling their houses in today’s real estate market. Of course, we can create a search that fits your personal criteria. Please let us know when we can help you with that. You can easily schedule a quick appointment to allow you to share your unique list of wants and needs for criteria like location, condition, price, and size with us. Once we’re on the same page, you will receive your personal search immediately. You will naturally feel even more empowered once you take this simple and easy step to bring your home search to the next level. About the search portal itself: Use the “Find a Home” section to search for a new home by city, zip code, street, etc. Use the “My Searches” section to see homes by parish. Under the “My Agent” section, you will learn more about me, Bret Barattini, and my real estate brokerage and solutions company, Rise Up Real Estate Group. Thank you! Rise Up!